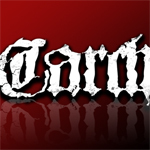 After releasing their debut full-length Macho Metal in 2008 the italian band Carcharodon hit the road for a one-month tour in Texas and California. After tons of gigs accross Italy and Europe, the Stoner Metal / Death'n'roll power trio has recorded their second album, which will be released in April 2013. The band takes the best aspects of old school death metal, sludge, stoner, blues & country and mixes them in equal parts into a groovy subgenre that they called macho metal. To discover Roachstomper stay tuned on this website, on Carcharodon Facebook or Altsphere Facebook. Each 2 weeks, a new video showing the backstage of the recording will be published.